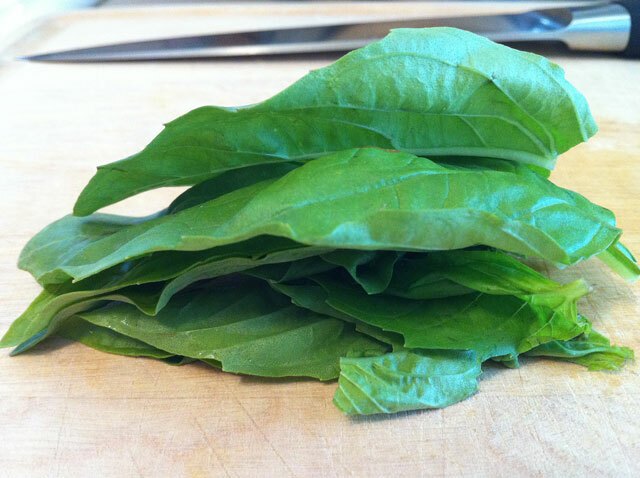 Chiffonade-ing basil, I am not sure that is a word but it will be my adjective for the moment. Little tips and tricks for ease in the kitchen have always been helpful to me, so I figured it would be helpful for you as well. I have learned so much watching cooking shows, others cook for years, but most of all in school. The most simple tasks can be made so useful, time saving, and dish friendly. Chiffonade-ing things is one of those. 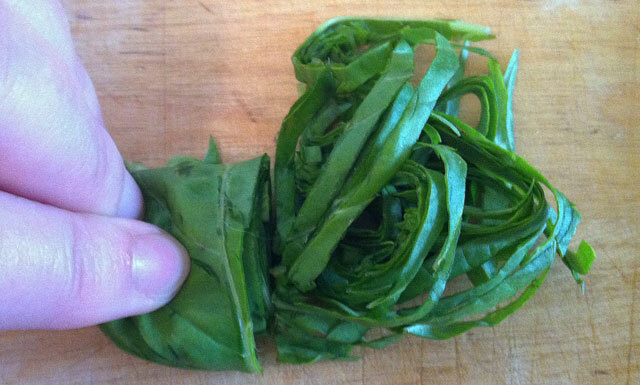 It makes a nice garnish, a more even chop on basil and other leafy greens, and it make stuff pretty, it is little ribbon curls. Who doesn’t like ribbon curls? 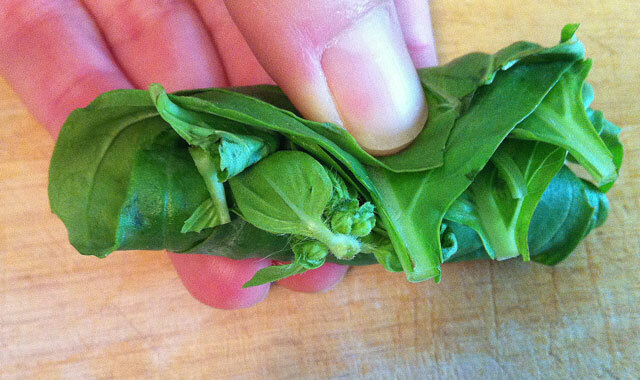 So grab some basil leaves, a super sharp chefs knife and lets get chopping. Stack your basil leaves on top of one another. 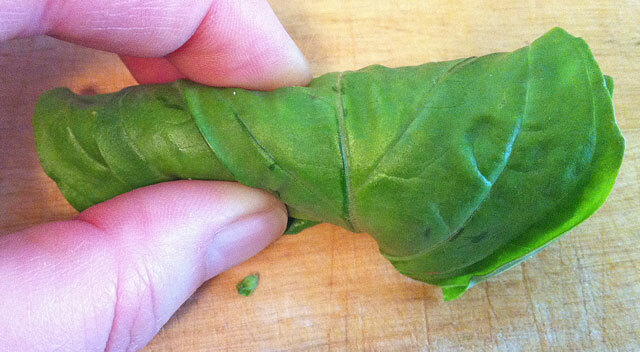 Roll them into a “cigar” shape. 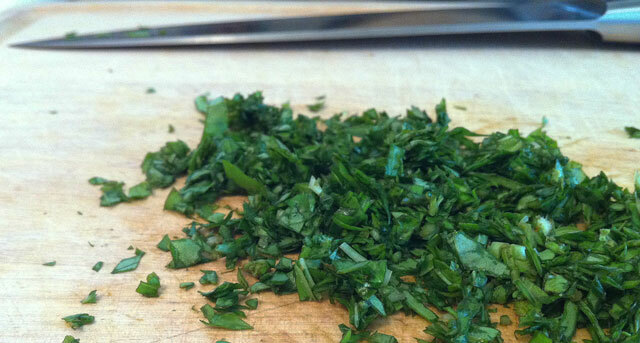 Need chopped Basil, just turn it and chop away!